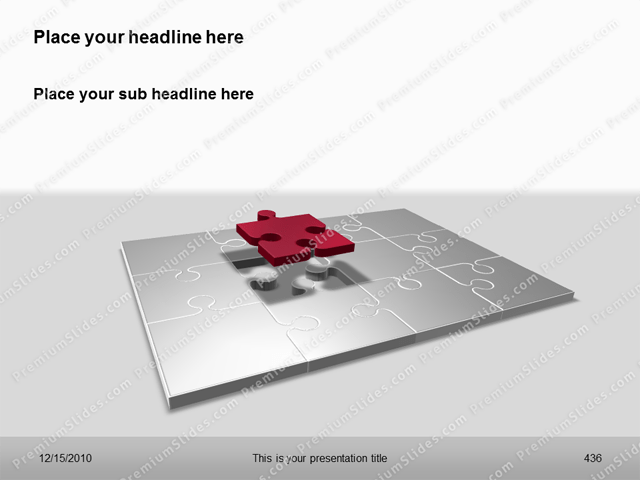 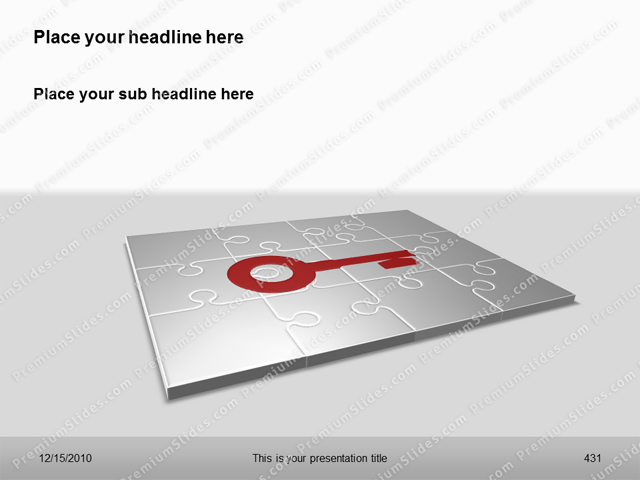 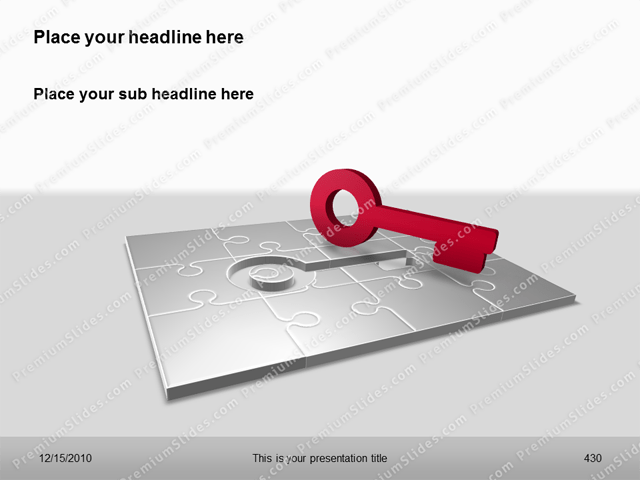 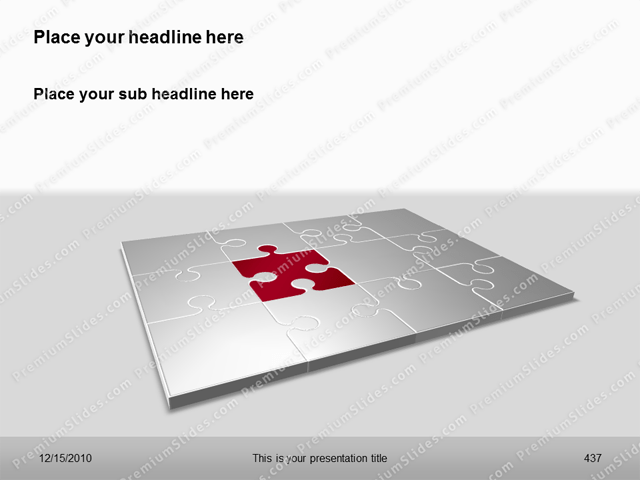 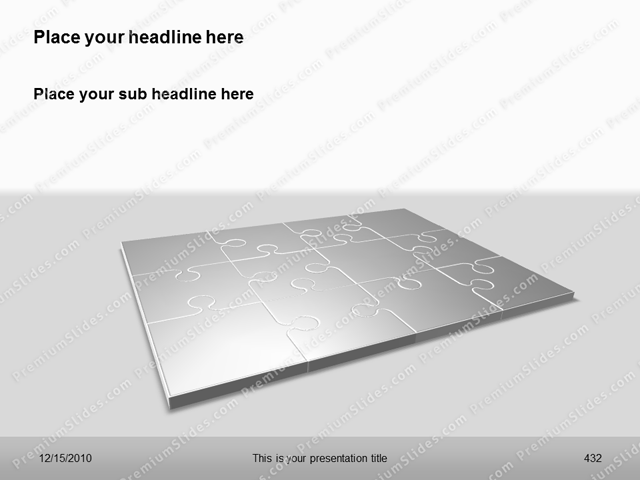 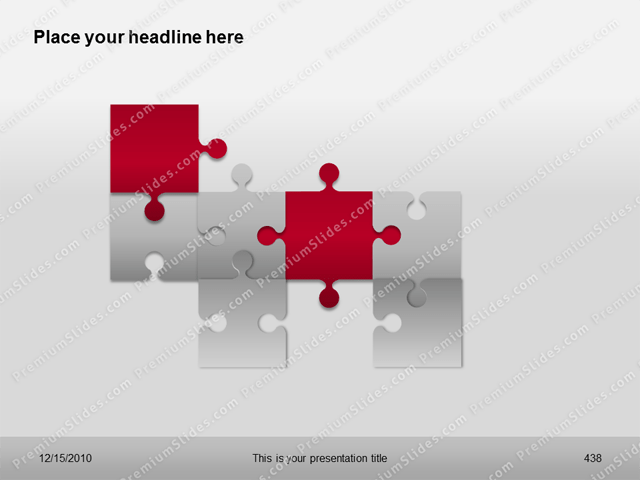 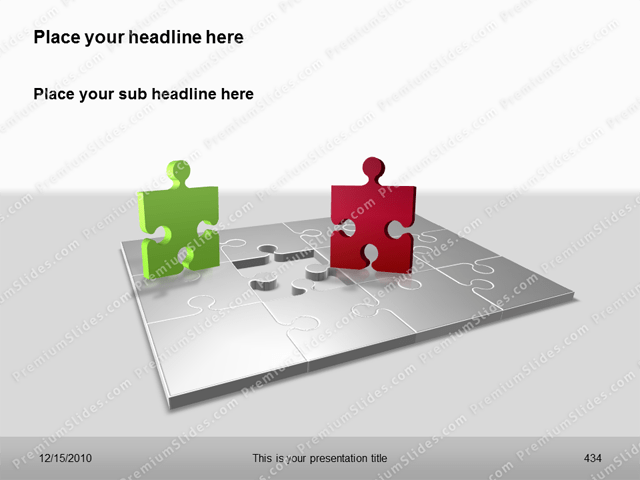 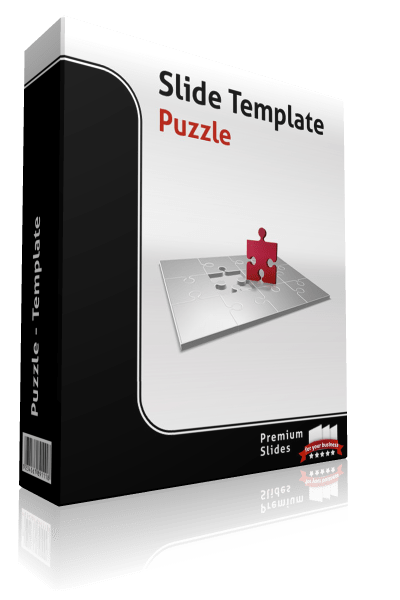 The Premium Puzzle PowerPoint Template includes 16 high quality Slides. 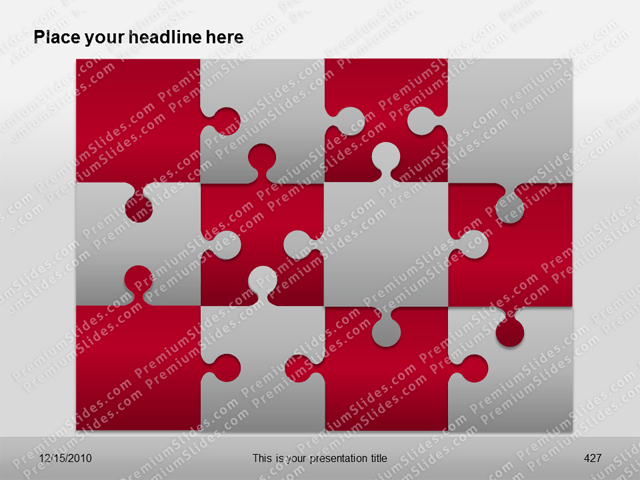 The Premium Puzzle PowerPoint Template includes 16 Slides. 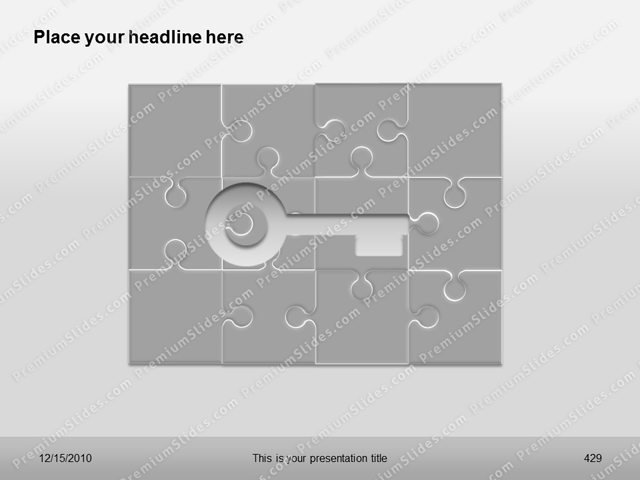 The Template impresses through hand drawn puzzle parts. 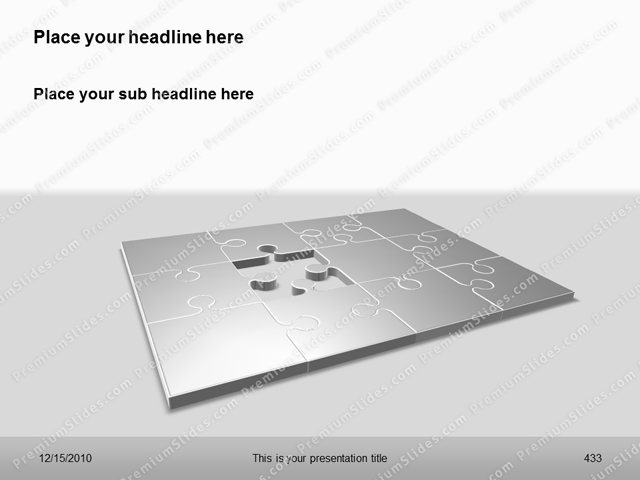 Exact 3D-Design for highest quality. 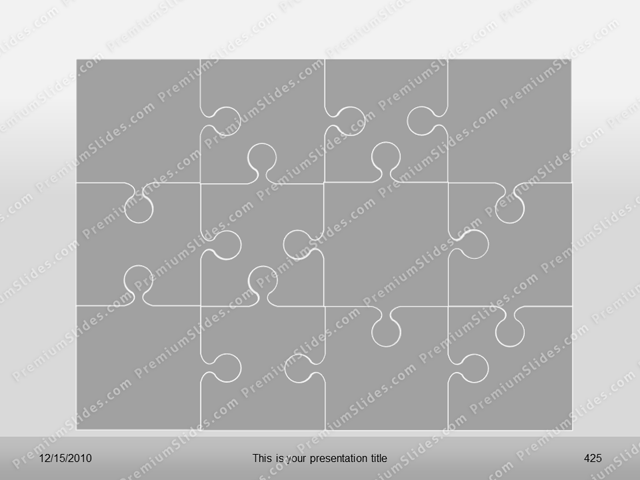 All parts of a jigsaw puzzle are included. 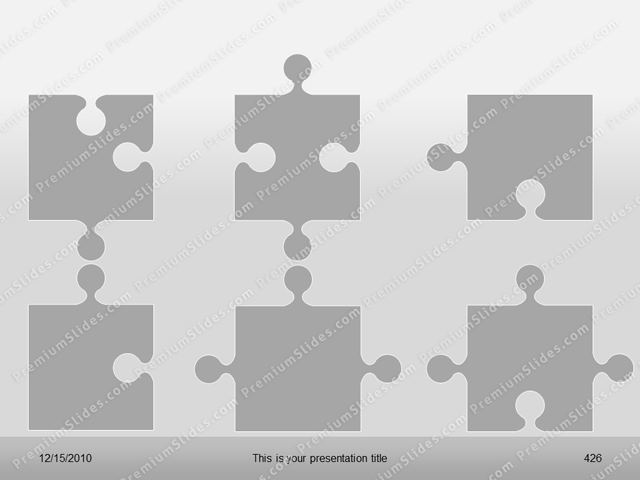 In comparison to other PowerPoint Puzzles these parts are drawn in one shape. 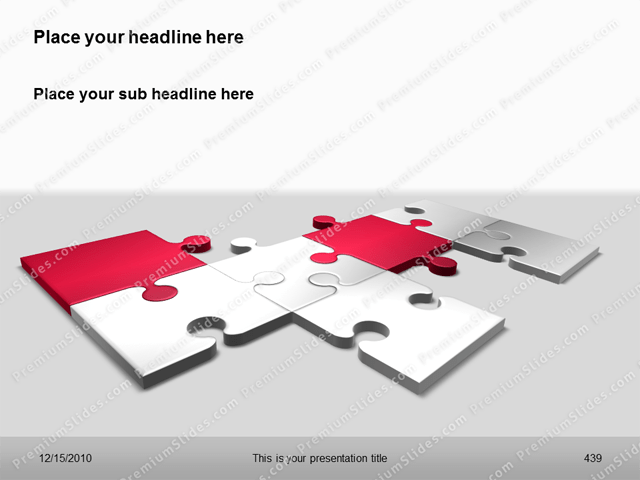 So you can add different colors and gradients with no limit. 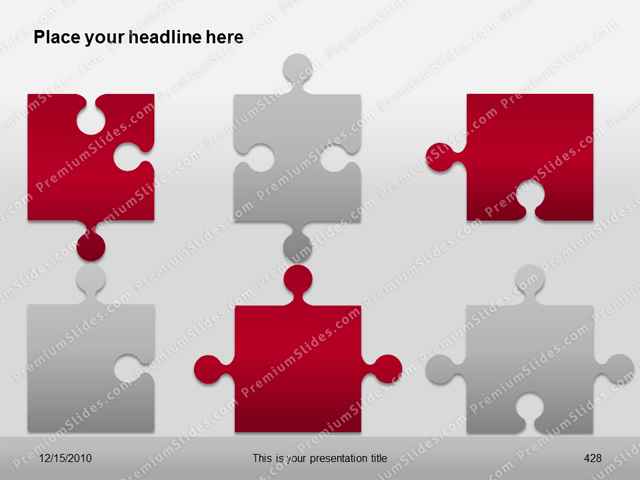 All parts fit exactly together. 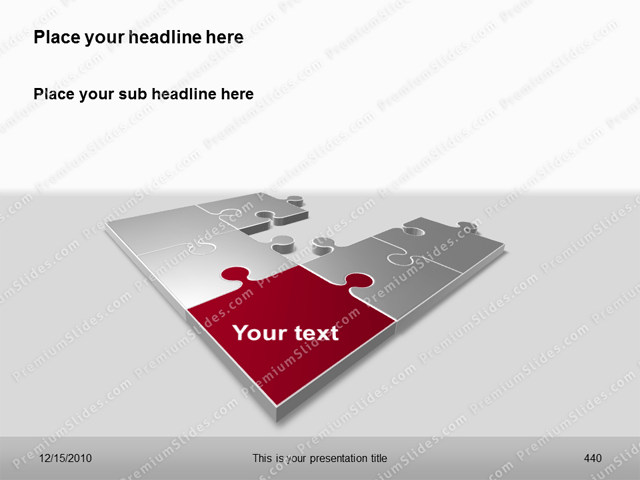 Here you can see even more the extraordinary quality of PremiumSlides Templates.